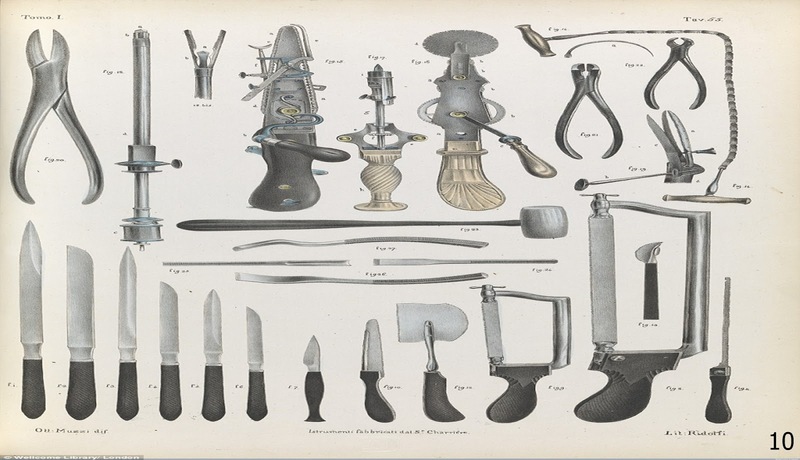 It is almost impossible for us to imagine the pain that was a part of surgery before the development of anæsthetics in the middle years of the nineteenth century. Yet even when the efficacy of ether and chloroform had been demonstrated, there were those who opposed the use of these agents on moral and biblical grounds. There were, inevitably, deaths in the early use of anæsthetics, some of which, with greater knowledge of the most appropriate procedures for the use and delivery of these powerful agents might have been avoided. 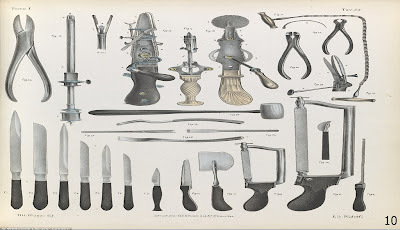 But there were also successes, and with their use surgeons were granted two great gifts, the gift of time and capacity to engage in operations which previously had been too difficult to achieve while the patient was conscious. Apprehension, uncertainty, waiting, expectation, fear of surprise, do a patient more harm than any exertion. Remember, he is face to face with his enemy all the time, internally wrestling with him, having long imaginary conversations with him. 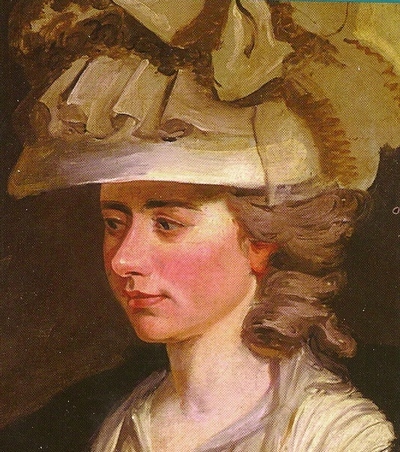 In this regard, clearly, battlefield amputations, despite the dread with which they were surely faced, at least did not engender the prolonged sense of panic that would have been the case for those, like Fanny Burney, as they anticipated surgery without anæsthetics. As terrible as her ordeal was, Fanny Burney survived and went on to live another 28 years, dying in Bath at the age of 87. One would have to think, that with the advent of anæsthetics in the mid-1840s, their use would quickly become commonplace. But that was not the case. The use of such agents, it was argued, was against the law of God, pain was required for survival during and after an operation, individuals were somehow robbed of their awareness and this was dangerous during surgery. Surgery was always the last resort and then, in most cases, it was fast, fierce and incredibly painful. Yet, as Stephanie Snow has pointed out, “from December 1846 until at least the 1860s, anæsthesia was a selective practice.” For many surgeons, pain was seen as an important element of a successful operation. By the 1840s, the most outstanding surgeon in Britain would have had to have been Robert Liston. Known for his speed, skill and, when operating, the utter ruthlessness required in the pre-anæsthetic years, he offers a useful insight into how some of the best surgeons were quickly converted to pain relief in operations. Liston straddled the years from before the advent of anæsthesia to the period in which, although not yet fully accepted, it was coming into more common use. Before his own use of anæsthetics, Liston was known for the speed with which he could perform an amputation. As he reached for the knife he would address the gallery, “time me gentlemen.” And time him they did. It was not uncommon for him to remove a limb and tie off the blood vessels in around thirty seconds. Thirty seconds of remarkable dexterity, flashing blades, rapid movements and brilliant showmanship. Thirty seconds of such pain that few patients are ever able to put it adequately into words. The memory of those thirty seconds will haunt them for the rest of their lives. If they live. 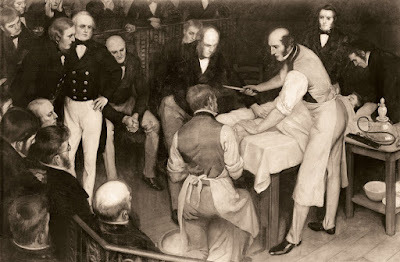 On 21 December 1846 Liston entered the operating theatre and announced, “We are going to try a Yankee dodge today, gentlemen, for making men insensible.” The Yankee dodge, was using ether to anæsthetize a patient, in this case, before removing his leg above the knee. The notes for the operation indicate that the entire procedure, including the tying off of the blood vessels, took twenty-five seconds. As the patient regained consciousness, he asked “when are you going to begin?” Post-operatively Liston comments, “this Yankee dodge, gentlemen, beats mesmerism hollow!” Liston was well aware of what was going on in the medical world and he soon had John Snow on his team, administering ether to his surgical patients. Amputees before anæsthesia recorded amazing examples of sangfroid during surgery, including that of children, often buttressed by strong religious convictions. Others admitted to real pain and terror. … general anæsthesia not only relived patients but gave surgeons time to operate more accurately and also pursue alternative operations which avoided amputation. It is hard today to even imagine what it must have been like to undergo surgery in the years before the use of anesthetics. Certainly, though, by the 1860s, pain in surgery was becoming a thing of the past. The next big step forward was to figure out why so many patients died after what appeared to be successful surgery and to determine what to do to reduce those numbers. As readers of this blog will have gathered, I enjoy a bit of historical gossip and what could possibly be more fun than stories about clerics and their alleged sexual peccadilloes? If you share this rather wayward inquisitiveness, you should really have a look at Tom Hughes new book, Clerical Errors. Hughes is an expert in just such scandals. The stories he tells are carefully documented, often using sources that have been either inaccessible or largely untapped. Among the strengths of his book is his careful analyses of the procedural issues surrounding cases. He not only lets us in on what was done, but on what he believes was not done. It presents us with a view of Victorian legal values and practices which were, at times, “slip-shod” if not biased. In addition, since the cases inevitably involve power relationships, Hughes’ book paints an interesting picture of both the formal and informal structures of both Victorian class and gender. In this kind of writing, it would be easy to slip into the error of confusing fact and opinion. While Hughes offers his opinion, he is clear in presenting it as just that. This is Hughes' third book dealing with what were cases of alleged misconduct on that part of clergy and is the first in a planned three volume series. If there is anyone who knows about British clerical scandals, it is Tom Hughes. He has spent more than two decades building a database and writing about clerical errors. All of his books are available through Amazon and the Kindle edition of Clerical Errors is available for the very reasonable price of US$5.49. Many, but not all, Victorians admired St. Pancras station and hotel. Four factors combined to give it a special appeal: its Gothic architecture, its functionality, its originality, and its comfort. The Gothic revival, which started late in the previous century, had grown out of an interest in the romanticism of the middle ages and had been largely confined to the upper classes. In its early phases, the revival had dictated home and church designs particularly after the commissioners appointed under the Church Building Act (1818) discovered that it was significantly cheaper to build a Gothic church than a Neoclassical one. Meanness as well as meagreness progressively controlled the design of their churches. Of the 612 churches built for the commissioners, more than 550 were Gothic or some related style. 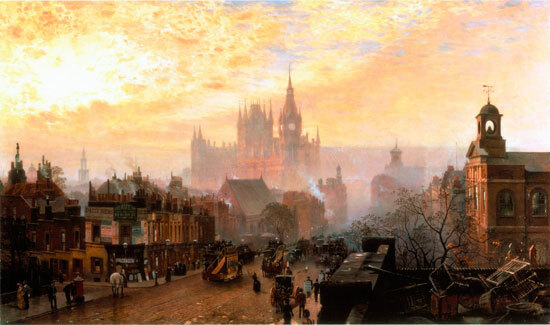 By the time St. Pancras Station and hotel were erected, the Gothic revival was in full swing and while the station itself may appeal for a number of other reasons, the hotel was (and remains) one of the great examples of Victorian Gothic and, therefore, aesthetically pleasing to many, if not most, Victorians. In addition, it is a railway hotel, an enormously functional building designed to service passengers at the height of the railway years. As the railways expanded in the second half of the century, so too did the railway hotels meant to provide accommodation for the weary traveller. And while the St. Pancras Station hotel may have been the most outstanding of these, it was not the first. That honour goes to the Great Northern Hotel at Kings Cross, opened in 1854 and shortly followed, within the month, by the Great Western Royal Hotel (now the Hilton London Paddington). Others followed although over the years they have lost some of their original charm. These included the Grosvenor Hotel at Victoria (1861) and the Charing Cross Hotel (1865). The Midland Grand Hotel at St. Pancras (now the St. Pancras Renaissance Hotel) opened in 1873, the creation of architect George Gilbert Scott. Victorians were great train travellers, and the opulence of St. Pancras would have attracted them. It provided all the comforts of home and, in many cases, far greater convenience, for the Midland Grand Hotel was a nineteenth century luxury hotel. It had, what, for its day, were all the modern conveniences including lifts, although the lack of individual bathrooms meant that the facilities had to be shared. Indeed, this, plus the lifts, combined in May of 1883 to cause the death of a patron, Mr. G. J. Smith. Mr. Smith and his wife were staying in a third-floor room when, at 2.00 in the morning, Mr. Smith apparently needed to use the water-closet. He crossed the corridor, entered a service room, crossed the room and in the dark (the hotel had failed to supply candles to its guests) fell down an open luggage lift shaft. It is quite true that I did object to the first plan of Mr. Scott as being Gothic, and on that account not suitable. Gothic architecture is very fit for a church and other edifices, but I hold it to be very unfit for street architecture in a town where unquestionably a great number of our buildings are of a different kind. Scott quickly dismissed such criticism when, in a paper presented to the Yorkshire Architectural Society, he called the “supposition that Gothic architecture is exclusively and intrinsically ecclesiastical” absurd. If the hotel was “without rival … for palatial beauty, comfort and convenience,” as one writer noted in 1897, the station itself had a separate appeal. 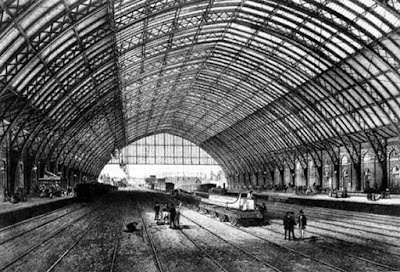 St. Pancras Station, which opened in 1868, having been supervised by the engineer, William Henry Barlow, appealed to Victorians in much the same way as model factories, locomotives, and exhibitions of modern machinery, all things which attracted Victorians in record numbers to the Great Exhibition of 1851 and the 1862 International Exhibition. But Scott's role was lauded, at the time of his death, by The Times which declared that "Scott produced in the Midland Station at St. Pancras the most beautiful terminus in London, remakable alike for its convenience and its imposing effect." The station was both functional and innovative and its functionality was increased by its originality. The great roof, spanning 240 feet and 105 feet high at its apex was the culmination of railway shed construction. By its size and structure, the shed allowed trains, passengers, cabs and luggage to move in dry and commodious surroundings; an appeal to the tired traveler that cannot be overlooked. Another element of appeal, perhaps more in the case of the shed than the hotel, was the natural comparison made to other stations. St. Pancras was bigger and more functional, and certainly more interesting both architecturally and in the engineering of its great roof than Lewis Cubitt’s station at King’s Cross or Isambard Kingdom Brunel and Matthew Digby Wyatt’s Great Western Railway terminus at Paddington. The major criticisms of the hotel and station tend to revolve around their being seen as a single unit. Lewis and Street, writing in 1875, two years after the Midland Grand hotel opened commented on just this relationship. Of a class unknown to the last generation are the railway stations, some of the largest edifices of the time, but usually almost hidden by another new class of buildings, viz., the colossal hotels. … No one … can study the way in which most of them are attached to the station buildings which they front without wishing most heartily that the engineer of the one and the architect of the other had worked somewhat more in harmony with each other. Nonetheless, they did exist happily together. 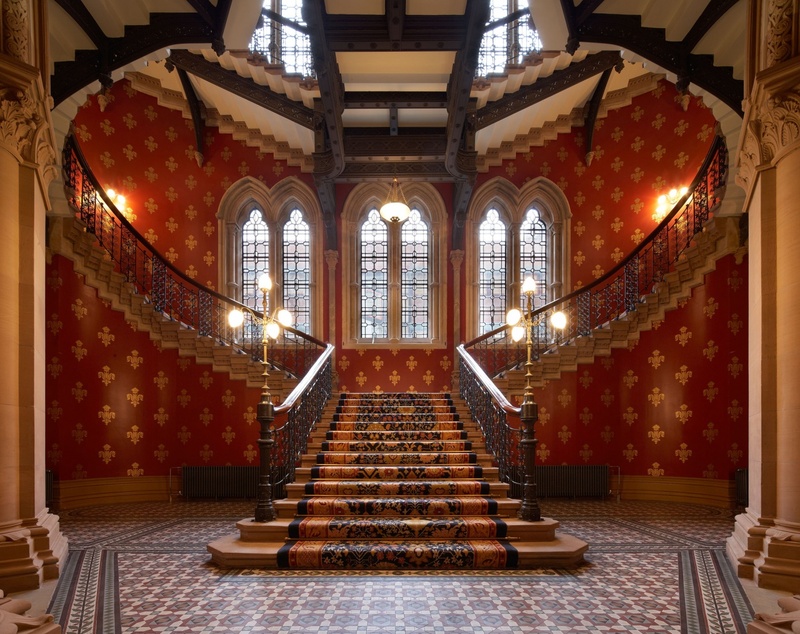 The St. Pancras Hotel was first and foremost a railway hotel. As such it was there to service travelers. Thus, its very function lent an air of logic to the joining of the two structures, a logic that Victorians might well have applauded, rooted as it was in sound commercial common sense.